June 12, 2014 has become a memorable date for the Missionary Benedictine Sisters of the Tutzing Priory. 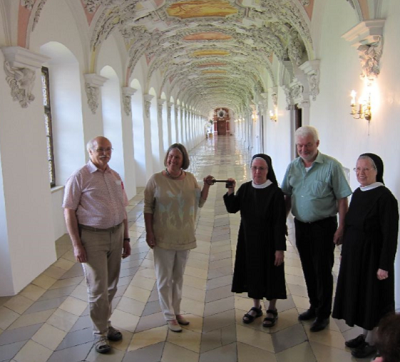 On that day, the Prioress, Sister Hildegard Jansing, handed over- in a symbolic ceremony- the keys of the art-historically significant monastic complex in Wessobrunn to the new owner, Martina Gebhardt. Present was also the Prioress General Sr. Angela Strobel, who spent her vacation during these days in Tutzing.